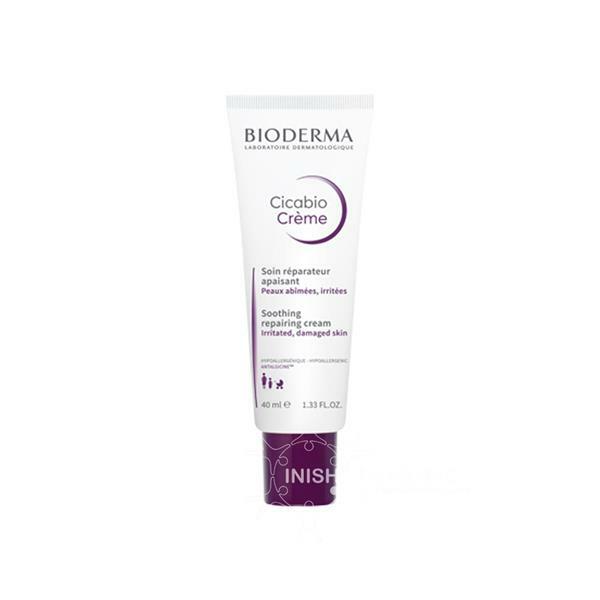 Bioderma Cicabio Créme is used to sooth and repair irritated and damaged skin. The presence of Antalgicine relieves the feeling of discomfort while reducing the urge to scratch dry, irritated skin. For use on face and body and can be used by adults, children and babies. Apply to the irritated area after cleaning and drying. Use twice a day until the skin is completely repaired. Bioderma Cicabio Créme is for use on minor skin damage and outbreaks of dryness or irritation. The Antalgicine in the cream quickly relieves the feeling of discomfort and the urge to scratch. The hyaluronic acid and moisturising active ingredients forms a breathable film for perfect skin protection and comfort. This product is fragrance and colorant free.